Coping up with my posts, I’ll be sharing with you one of my daughter’s activity last September 30. It’s a delayed post but I have many article rewrites and paid blogging work lately so I kinda neglected my blog. Sorry guys, I need to prioritize my earnings since 70% of our income comes from online work and 30% comes from my field work and homebase biz. I have 4 kids to feed and 1 niece to send to school that made 5 kids to grow. We’re a big family indeed and we really have to work overtime to cope up with our daily expenses. I am always active and supportive to my kid’s activities and one of this is GSP activity. 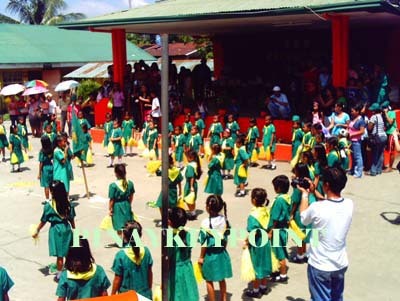 GSP means Girl Scout of the Philippines. 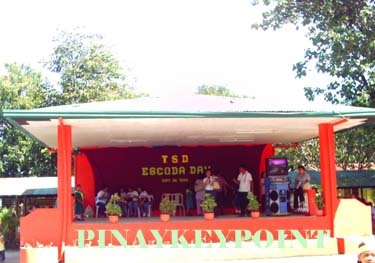 Last September 30, 2008 Tarlac South District Elementary schools from different barangays of Tarlac South celebrated Escoda Day. Sapang Tagalog Elementary hosted the event. It started at 6am so my kids woke up early to prepare. It was a whole day activity which includes formation, Marching, Yelling competition and parlor games. 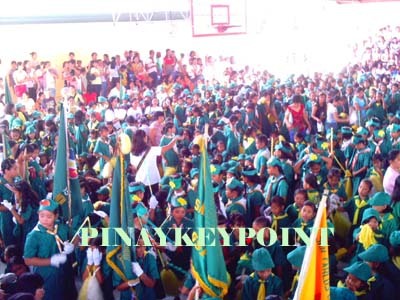 The activity ended at 3pm and San Miguel Elementary school was the overall champion in Yelling Completion. Hub took this picture before they go to the Formation area. He said the morning was so pleasant and he can’t help but take this picture. I also made a research about the brief history of GSP to give you a clear idea why they are celebrating Escoda day. What or who is Escoda anyway? 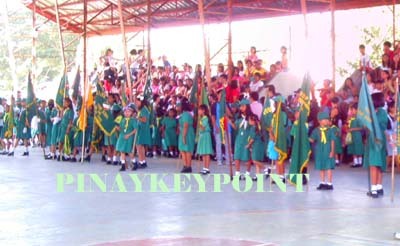 The Girl Scouts of the Philippines (GSP) is the national Guiding association for girls and young women of the Philippines. 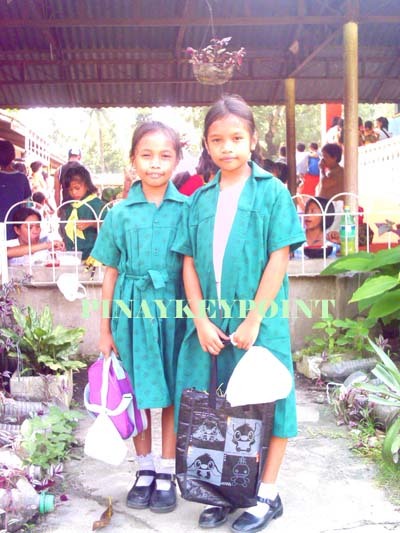 Its mission is “to help girls and young women realize the ideals of womanhood and prepare themselves for their responsibilities in the home, and to the nation, and the world community. The girls-only association serves 671,267 members (as of 2003). 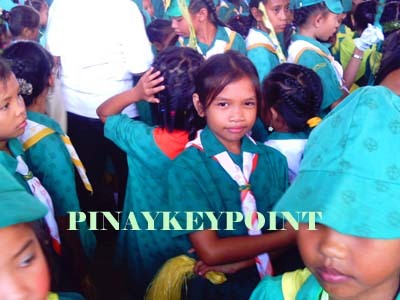 Lone Girl Scout troops were organized in the Philippines as early as 1918 by American missionaries and servicemen. These Scout troops were directly registered with the Girl Scouts of the USA. 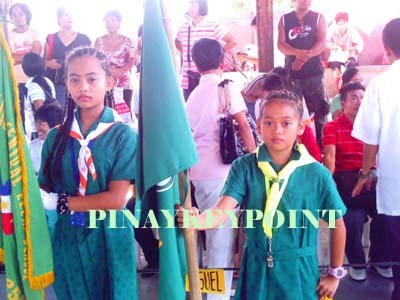 Pilar Hidalgo-Lim and Josefa Llanes Escoda spearheaded the organization of a Scout movement for girls, and requested the assistance of the Boy Scouts of the Philippines (BSP). In 1939, Mrs. Escoda was sent to the United States and Britain for training through the help of Joseph E. Stevenot of the BSP. 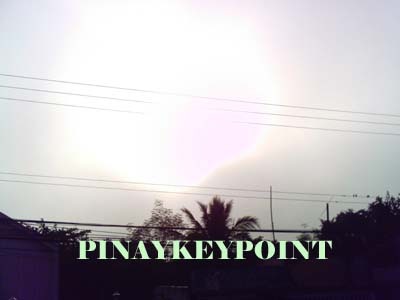 Upon her return to the Philippines, she immediately started to set up the GSP with the help of other civic organizations. 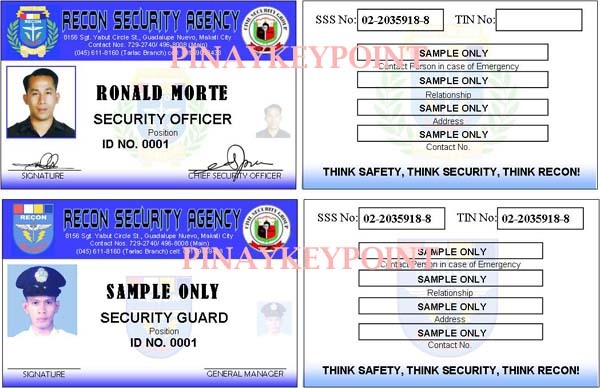 On May 26, 1940, the GSP was chartered under Philippine Commonwealth Act No. 542. In 1946, the GSP was accepted as a tenderfoot member of the World Association of Girl Guides and Girl Scouts (WAGGGS) during the 11th World Conference held at Evian, France. In 1948, the GSP became a full member of WAGGGS during the 12th World Conference held at Cooperstown, New York. Since 1995 the organization lost nearly half of its members; the membership number shrunk from 1,275,113 in 1995 to 671,267 in 2003. 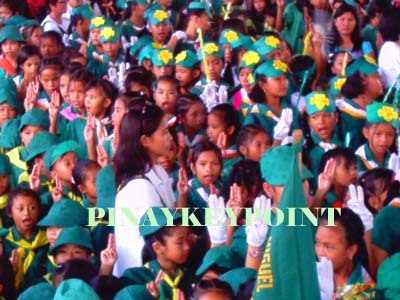 In reaction to this, the BSP opened the Senior Scout Section for girls in summer 2006 which led to a public conflict about the focuses of both GSP and BSP. The GSP’s program focuses on “well-being, family life, heritage and citizenship, world community, preparedness, economic self-sufficiency, arts and environment. Center of the program is the “eight-point challenge”, a merit-badge program. The highest award is the “Chief Girl Scout Medal” which was introduced in 1976. 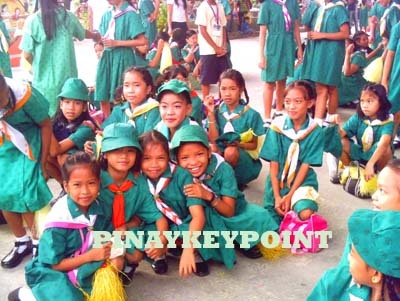 The Girl Scout emblem incorporates elements of the flag of the Philippines. 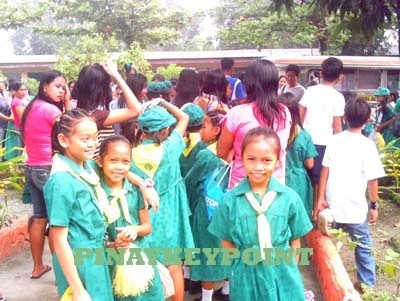 at isasabuhay ko ang Batas ng Girl Scout. One positive experience they have experienced transferring to a public school is this GSP activity. 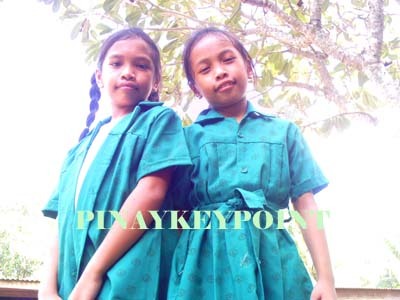 They never have a GSP activity when they were studying at Tarlac Montessori School.